In blender, place all ingredients except oil. Cover; blend until smooth. In 2-quart saucepan, heat oil over medium-high heat. Add tomato mixture; cook about 5 minutes or until hot. Serve warm or cold with tortilla chips, as desired. 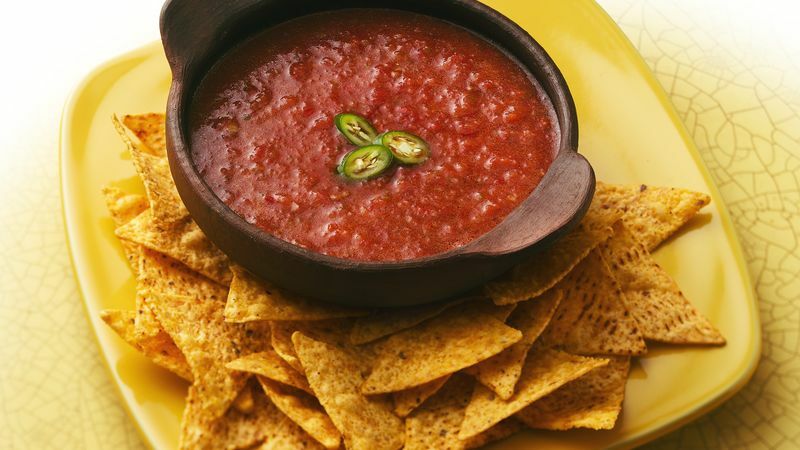 Cover and refrigerate any remaining salsa. To blend the ingredients, you could use a food processor instead of a blender. This salsa, which is a little thinner than a typical bottled salsa, also makes a great enchilada sauce.